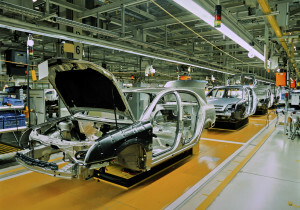 When people think of the automotive industry, they generally think of the cars they drive. While this will suffice, there is a much deeper explanation of everything the automotive industry entails. At Standby Screw, we are proud to serve such an important, worldwide industry. As time goes on, drivers are looking for more improvements on their choice of vehicle and automotive manufacturers must be able to adapt to changes for mature driver markets and emerging markets, while keeping as low costs as they possibly can with the most advanced technology. offset lower profit margins for small cars relative to large trucks. Standby Screw in the Automotive Industry: Our very own Standby Screw parts can be found in a handful of higher-end vehicles with manual transmissions. We have also recently made samples to go in Ford F-150 shifters and we make a host of pins and bushing that go in three and four speed transmissions for Ford and Mazda. We are extremely proud to service the automotive industry and hope to grow and expand our parts manufacturing for new vehicles in the future.